This past month, I’ve had a lot of exciting opportunities to travel, work with others, and I’ve also launched several projects in June. PHOTO: Matthew sitting in his wheelchair in a blue shirt and cap outside a store in Paris, France. He is looking at a gray platform. At the beginning of the month, I traveled to Europe and South Africa. It was amazing to explore the different countries. One thing that I was surprised by throughout the trip was the way these countries handled accessibility and inclusivity. There were always family restrooms and changing rooms available, even in historical buildings. Paris had ramps that were built into the stairways, so business owners could pull the ramp in and out as needed. 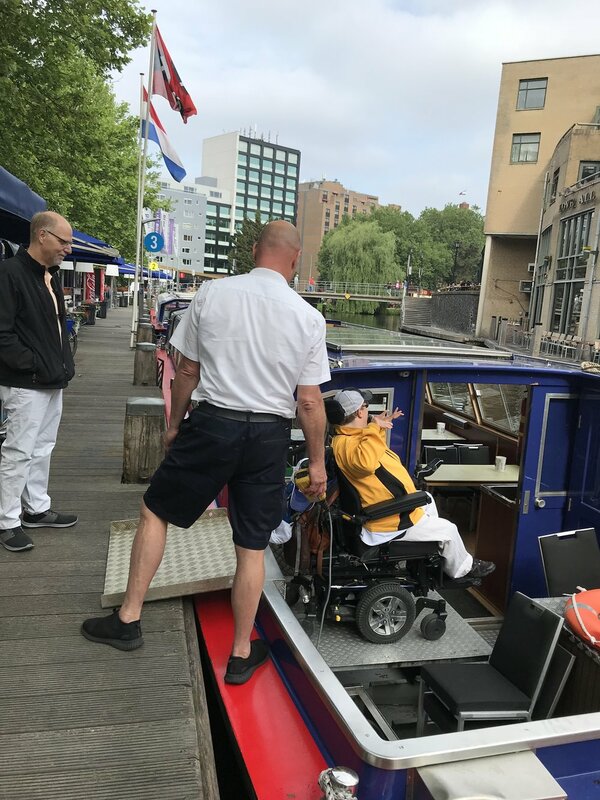 In Amsterdam, one of the canal boats had a platform that easily raised up and lowered, making it easy for me to get into the boat with my wheelchair. It was clear that many places prioritized the inclusion of people with disabilities and it proves that it can be done in the United States. PHOTO: Matthew still sitting in his wheelchair in a blue shirt and cap outside a store in Paris, France. Now he is looking at a black ramp to help him get in the store. PHOTO: Matthew in his chair, in a yellow shirt, using a lift to get into a canal boat in Amsterdam. PHOTO: Matthew, sitting behind a table, and his mom, Eve, presenting on the stage at the I'm Determined Parent Summit In Harrisonburg, Virginia at James Madison University. After my trip, I headed to Harrisonburg, Virginia to give a talk with my mom at the I’m Determined Parents’ Summit. Our presentation focused on qualities of highly productive people; a few qualities we talked about included making time for yourself and focusing on the good things in life. It was great to talk with so many parents and listen to other people’s experiences. I had a few days at home before heading off to Pittsburgh, Pennsylvania for the National ADA Symposium. I’m working toward becoming an ADA Coordinator, so it was a perfect opportunity to take classes that move me closer to my goal. When I become certified as an ADA Coordinator, I plan to use my knowledge and experience to help different types of businesses by using my inclusion above compliance approach. PHOTO: Here is the logo for the 6 Wheels Consulting Podcast. Is a white version of the six wheels logo on an orange background. The text reads 6 Wheels Podcast with Matthew Shapiro. A few days later, I went to Orlando, Florida and attended the National Association for People Supporting Employment First Conference. I listened to several interesting presentations and learned more on how to do lobbying work better. Finally, at the end of June, I launched the 6 Wheels Consulting Podcast: Discussing Difference, Inclusion, and All Abilities in Today’s World with Bob Nolley. We had been talking about the idea of starting a podcast for a little while and getting to record the first episode was great. Make sure to let us know your thoughts on our first episode and what you’d like to hear! We appreciate your feedback! 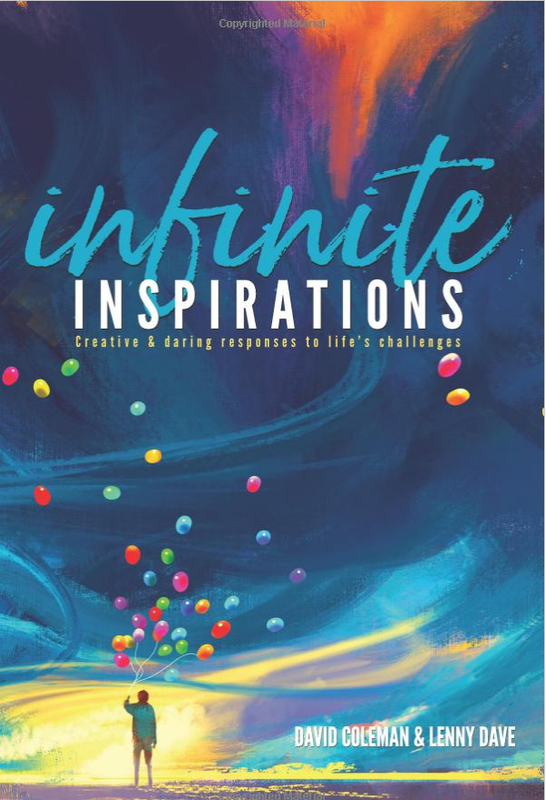 If you haven’t already, also check out the book that I took part in writing, Infinite Inspirations: Creative and Daring Responses to Life’s Challenges. Each chapter is written by a different author, and the book is filled with a lot of genuine stories. It’s been a busy month, and it’s been great to see several programs that I’ve been working on come together. I’m excited to continue working on these projects and I look forward to seeing what comes next! As always stay tuned in to the 6 Wheels Consulting, LLC social media pages and website for exciting updates on future activities and episodes of the podcast. I am working very hard and I’m excited to share those experiences with you. PHOTO: One last picture. Here is Matthew In South Africa In his wheelchair feeding some elephants some lunch.